Connect a Bluetooth enabled device to Windows 10 computer, how to? The solution is simple to connect a Bluetooth enabled device to Windows 10 computer, for example an Printer, Scanner or Bluetooth Mouse and Keyboards! Please check ... the Bluetooth Support on your Windows 10! In Device and Printers Please click the Button Add a device and then follow the instructions. (Image-1) Bluetooth Connect Button on a Optical Mouse! To learn how to make a device discoverable on Windows 10, check the information that came with your device or go to the manufacturer’s website. Methods for making a device discoverable can vary widely from one type of device to the next. Some Bluetooth enabled devices are always in discovery mode. Others, such as most mobile phones, need to be placed in discovery mode by selecting discovery from a software menu or pressing a button on the device. Discovery buttons can be very small and hard to spot, often placed on the bottom of a mouse, keyboard, or similar device. The button may be labeled with the word connect, or another similar term; a Bluetooth logo or it may not be labeled at all. (Image-2) Connect a Bluetooth device to Windows 10 computer! Windows-10 - FAQ-115: Connect a Bluetooth enabled device to Windows 10 computer, how to? 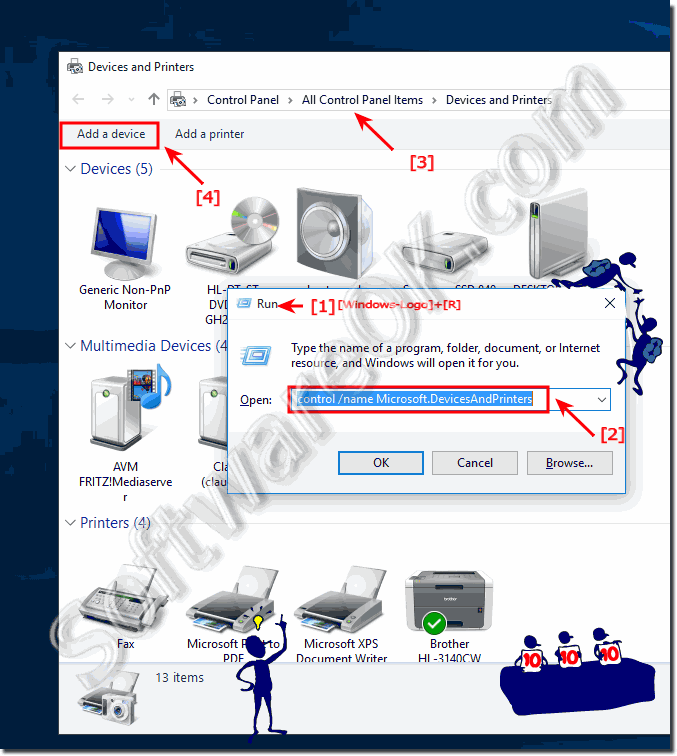 Can I change drive letter name in windows 10, how to?